Welcome to a brand new blog post! I thought, that today, I would talk to you all about a few cinemas that are within Leeds and what they offer. I thought that, due to Leeds being such a vastand spacious city, there is quite a few cinemas. That's why I thought that it would be best to give you some information about each/talk about the differences between each establishment. I also think that it would be great, to travel to all of the cinemas within this post in one day, to have a full on day of amazing cinematic experiences. 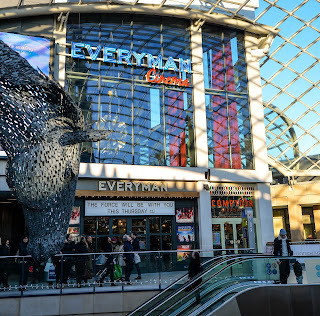 Everyman Cinemas, is located within the heart of Leeds City Centre, via the Trinity Leeds Shopping Centre, Everymean boasts a wonderful array of plush seating, amazing sound and service to your seat. This is definitely a cinematic experience, that you want to indulge in when it comees to seeing your favourite film. 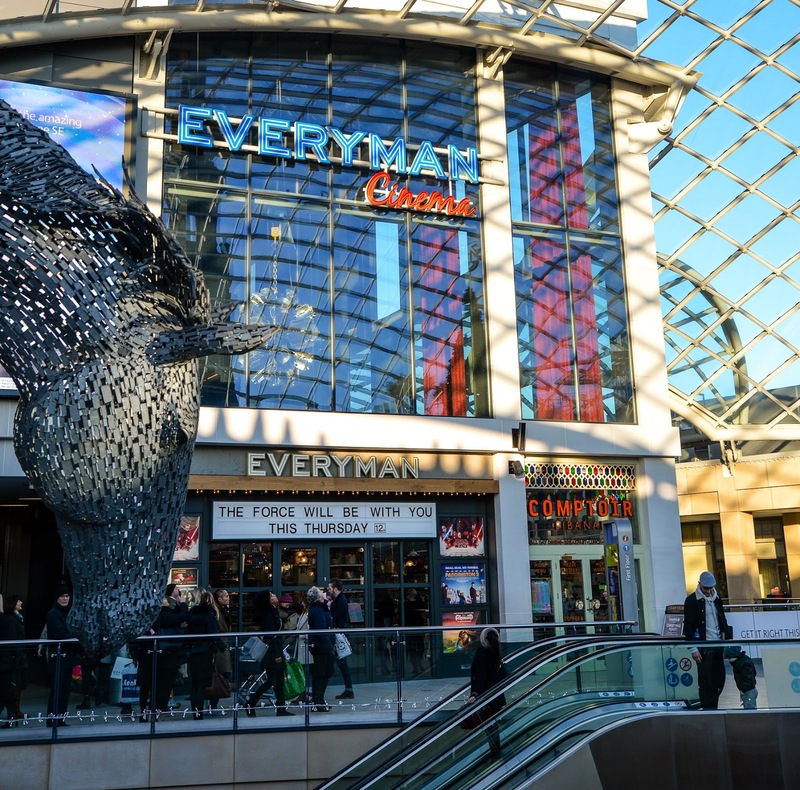 Due to Everyman Cinema being within Trinity Leeds, it means that it's only a stones throw away from the train station, which means that, you can plan and enjoy an amazing day within Leeds without having to walk too far to watch a film. Vue are known for their exquisitive screens, and great seats. The Vue within The Light, Leeds, offers both of them and more. As it is in a shopping centre, again, you can get some shopping done before/after a film. As this cinema is so near to the Town Hall/Art Gallery, you can experience high brow culture via art and film. You can also grab a coffee via the Starbucks that is only a moment away. or grab food via Nation Of Shopkeepers, Miller & Carter or Red Hot World Buffet. You can also make a full day of it via booking a room at Radisson Blue which is also located within The Light. There is another Vue within Cardigan Fields, that is located next great eateries such as, Taco Bell, McDonalds and MOD Pizza, therefore you can grab something great to eat, before or after, if you go to that Vue. Showcase De Lux, was the cinema that I went to, as a treat, throughout my childhood. This cinema is probably one of the 3 that made me enjoy cinema in it's entirety. From it's big screens and majestic sound, to the lush interior even before sitting down, this cinema just exudes style. It is a bit out of the way unless you're travelling by Car due to it being in Birstall. It is a 9 min walk from Ikea and Frankie & Benny's therefore you can enjoy shopping, food and a film all within a few minutes of each other. I mean this is technically in Batley but I always class it as Leeds, but it is an amazing cinema. This Picture House is one of the most amazing buildings and cinemas, that I have ever laid my eyes upon and I urge you to go if you can. This Grade II listed building still shows some of the most popular movies that are on at the minute, but they also show local and indie based films. This means that there is always a variety of films to go see at this amazing establishment. I think that this would be an amazing place to go to when you want to encapsulate yourself in a film, or, take yourself and someone else on a great day out. This one is the last cinema, that is based within a shopping centre, but this is the latest one. Cineworld White Rose has the most amazing lighting, screens, sounds, seating and environment. When you walk into this establishment, you know that it was meant to be a cinema where great films were meant to be shown. Due to it being within White Rose, it means that you can shop, chat, dine and do anything in between. Go and check it out if you can. Have you checked out any od these film based establishments? Have you watched any great films lately like, Call Me By Your Name, The Shape Of Water or The Greatest Showman? Let me know down below! Most of these bove have student discounts but, please do double check. I hope that you have enjoyed reading this film based blog post and I hope that you come back to read another post.